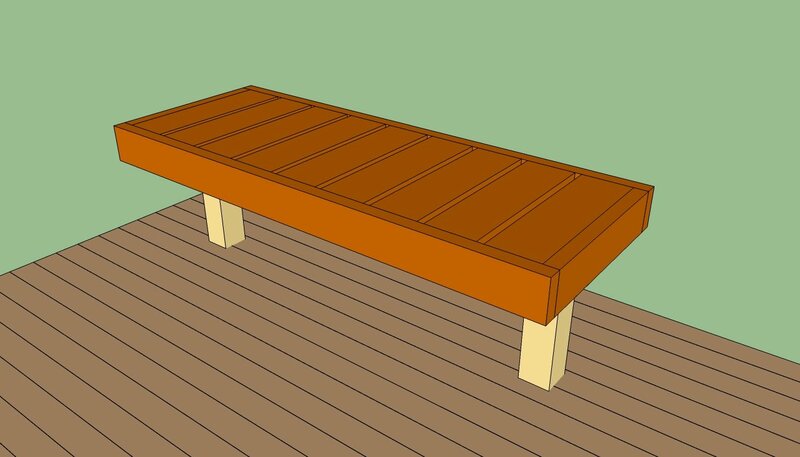 This step by step article is about how to build a deck bench. If you want to enhance the look of your deck and to transform it in a great place to relax or to have endless discussions with your friends, you should consider a deck bench. Generally speaking, you could choose from many designs and shapes, making your decision a real challenge. Nevertheless, this project is a about a straight forward bench without a back support, that can be built by any amateur handyman. In order to get the job done in a professional manner, you have to know the basic woodworking techniques and buy quality materials. First of all, you have to build the 4×4 posts, that will support the deck bench. Plumb the post with a spirit level and lock it with several C-clamps, before driving in the screws. Smart Tip: As you can see in the image, you have to notch the bottom section of the post, in order to fit perfectly into place. Drill several pilot holes trough the posts and joists, before inserting the 4” carriage bolts. Afterwards, build the 2×6 braces and install them into place, as in the image. In order to build a deck seat with a neat look, we recommend you to cut V-shaped braces. Level the top of the braces with a spirit level, before lock it into place with 3” galvanized screws. Smart Tip: You should adjust the width and the height of the bench, according to your needs and tastes. 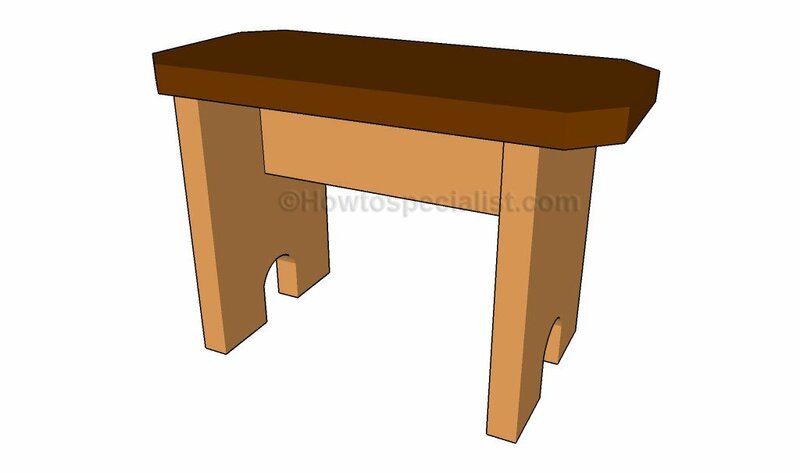 Align the sides of the bench, one with another, if you want to obtain a professional result. Continue the woodworking project by installing the 2×4 sides of the bench. Align the ends of the boards accurately and lock it into place with 3” screws. As you can see in the image, you have to drill pilot holes in the lumber, otherwise the wood might split. Work with great care, if you want to obtain a professional result. Countersink the head of the screws, before inserting them in the holes. Next, you have to install the 2×6 seat slats, in order to get the job done. Cut the boards at the right size and install them into place with screws. Pre-drill both ends of the slats and lock them into position with galvanized screws. Smart Tip: Countersink the head of the screws and fill them with wood putty. Place the slats equally spaced, leaving at least 1/2” between the m. Place a nail or a wood block between the slats. Afterwards, you should fill the gaps with wood putty and let the compound dry out properly. Sand the surface with medium grit sandpaper and clean the surface with a dry cloth. If you want to get an unique design, you have to round the exposed edges with a router and 1/4” bit. Apply several coats of wood stain, along the wood grain, in order to protect the lumber from wood decay. 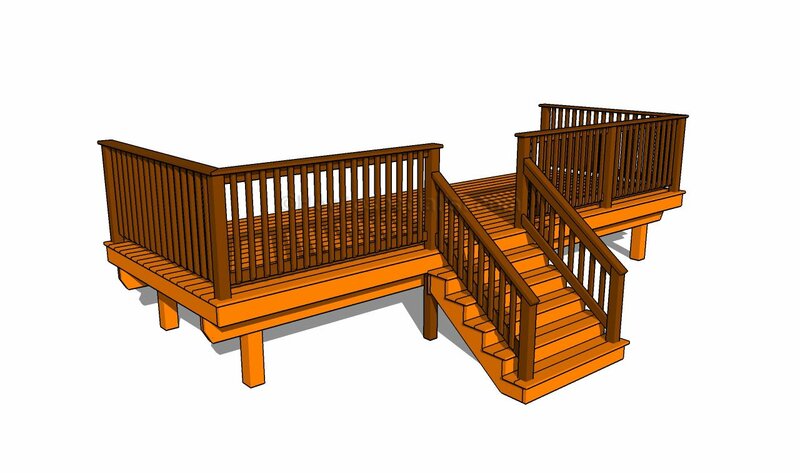 Thank you for reading our article about how to build a deck bench and we recommend you to check out the rest of our projects. Don’t forget to share our projects with your friends, by using the social media widgets.